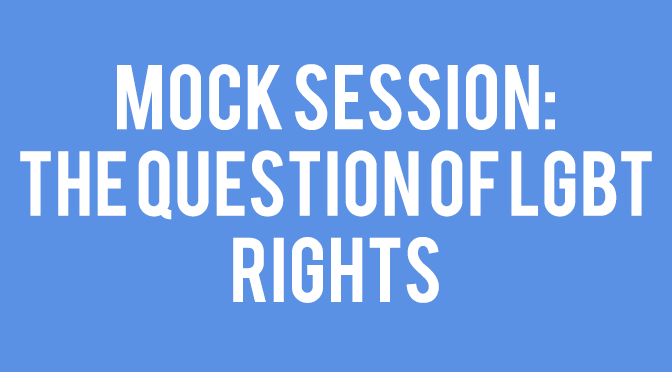 A mock session was held on 2 July 2015 on the question of LGBT rights. 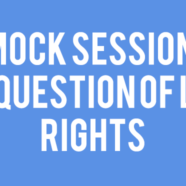 A UNHRC committee in the topic: The question of LGBT rights. A hit debate ensued from the start with Ireland, UK, Canada and Denmark taking lead in the favor of LGBT rights, whereas Kuwait, India, Russia took lead against it. Girls from SICAS (Salamat Girls) also took part in the session and created a good opposition against the favoring bloc. By the end two blocs had been clearly created as for and against and with the respected chair steering the committee to an objective some valid points were reached. The session concluded with an entertainment session and lots of smiles.